[Two-sided silk screen print, front.] Enlarge. [Two-sided silk screen print, back.] Enlarge. 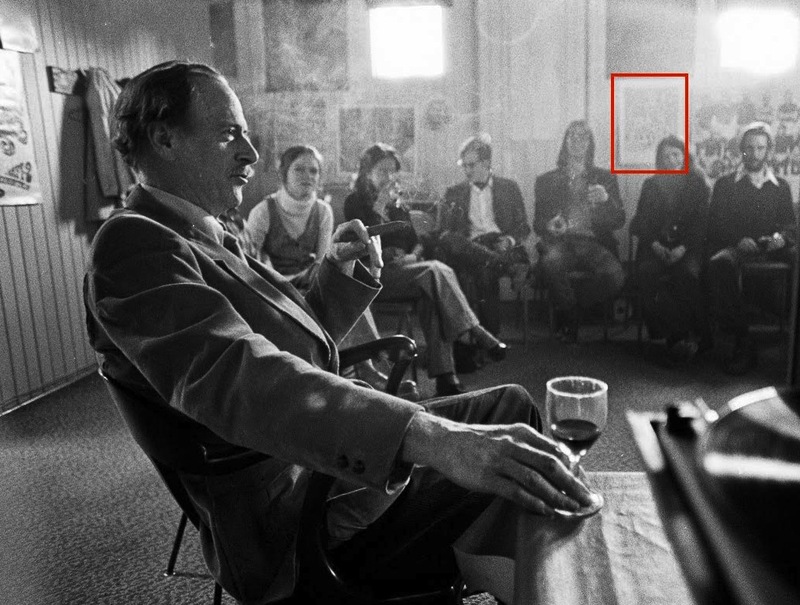 McLuhan presiding over a seminar at the McLuhan Centre, [April 15, 1974]. Courtesy of the University of Toronto Archives, Robert Lansdale (photographer). 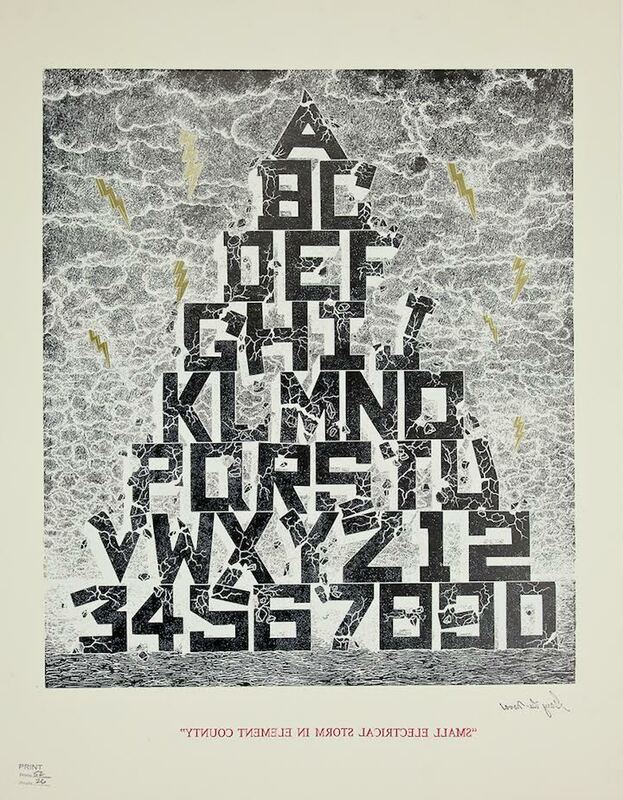 Lee-Nova’s “Small Electrical Storm” was produced in a numbered edition of 52 prints and 26 proofs. The front was printed positive but with the image content reversed, as if seen in a mirror (except for the title and signature). The back was printed in photo negative but without the mirror image reversal of the content (except for the title and signature, which are mirror images). 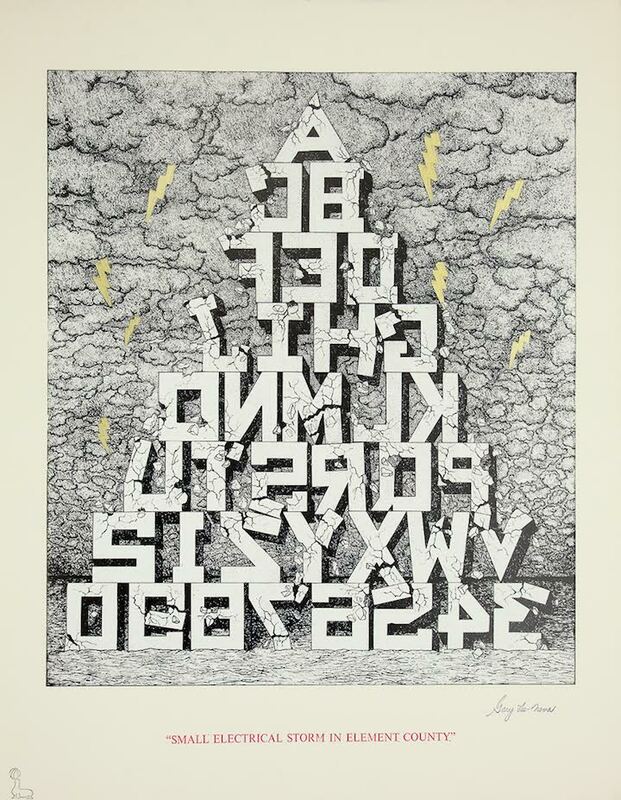 During the 1970s, I had a lengthy and fascinating correspondence with Richard Aaron, of AM HERE BOOKS. 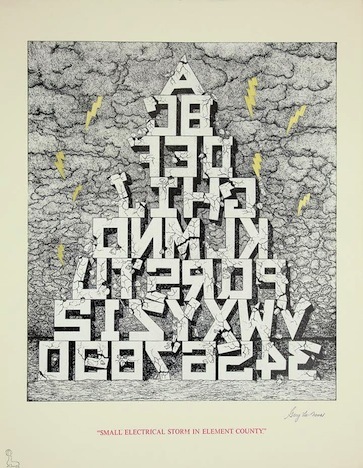 At one point, Richard was so generous to me with William S. Burroughs publications, I sent him a copy of “Small Electrical Storm In Element County” contained in a frame I made out of yardsticks. That frame allowed display of both sides of the print. The frame had legs on it so that it could stand straight up and showed both sides of the same print, through glass, of course. I’d seen Oriental presentations that used this concept of a two-sided free-standing frame. 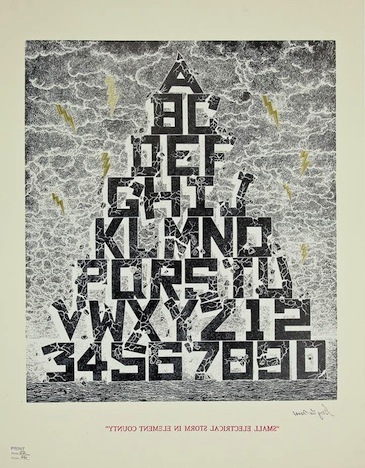 Postscript: My staff of thousands has alerted me to The Alphabet Book, which includes silkscreen alphabet prints created by Lee-Nova, Eric Metcalfe, and Paul Oberst. The book grew out of a 2014 Kunstverein|Amsterdam retrospective show focused on Image Bank, the Vancouver-based artist network founded by Michael Morris and Vincent Trasov. & Gary, that still exists, the yardstick frame – the glass broke many years ago but I think the fractured look of the broken glass adds to appeal of print – an always astonishing work – the print has suffered a bit from lacking portions of the glass but so have we all as we limp and leap to the finish line or back to the begin again…love from a daily user of your fine product! Thank you for the reference to “The Large Glass” outcome for Duchamp’s famous piece of sculpture. I completely support your decisions with respect to the broken glass and the presence of the print as is.